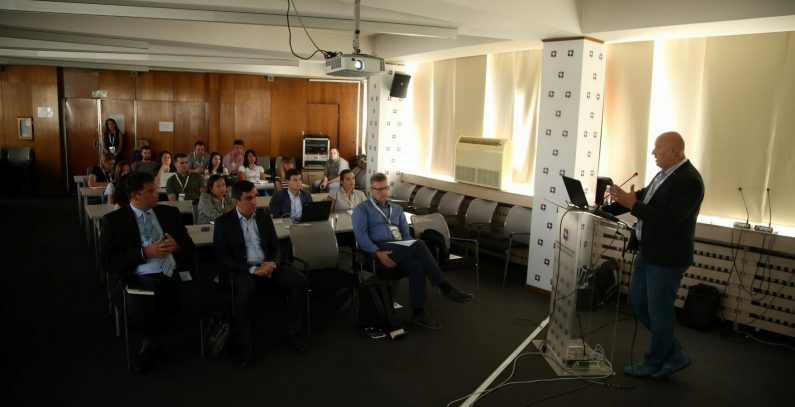 The Serbian Chamber of Commerce (PKS) has launched a Circular Economy Academy for representatives of small and medium-sized enterprises (SMEs), with the aim of helping them improve the quality and efficiency of business processes at their firms and at the same time contribute to Serbia’s economic development and environmental protection, according to a press release from the PKS. The Circular Economy Academy, which opened its doors on September 7, will teach participants how to analyze and assess the effectiveness of their companies’ business processes and use of materials, as well as to implement systemic changes to switch to a circular business model. The circular economy model is based on use and reuse of resources to reduce and avoid creating waste in manufacture, which requires comprehensive changes in the entire value chain, the PKS said. The start of the Circular Economy Academy’s work marks the PKS’ entry into a knowledge transfer program targeting especially SMEs, to help them prepare for the energy and environmental transition and strengthen their competitiveness on the regional and global markets, said Siniša Mitrović, adviser to the PKS president. The circular economy represents the creation of a new investment cycle which will generate billions of euros in investment in the waste and wastewater management sectors in the next several years, said Slobodan Perović, assistant environmental protection minister, adding that the direct benefits include job creation, reducing environmental impact, and transitioning to clean technologies by reusing resources that have so far been landfilled. For his part, Žarko Petrović, program analyst at the UNDP, noted that the introduction of the circular economy, alongside long-term investment in resource and energy efficiency, swapping fossil fuels for renewables, and cutting greenhouse gas (GHG) emissions, helps attain the Sustainable Development Goals and meet national obligations under the Paris Agreement on climate change. A large number of companies in Serbia still operate under the “take, make, and dispose” linear business model, with natural resources used for manufacturing products that are disposed at the end of their life, the PKS said. The PKS has launched the Circular Economy Academy in cooperation with the Cirekon center and with the support of the EIT Climate-KIC, the EU’s main climate innovation initiative, and the UNDP’s Climate Smart Urban Development Challenge project. In December 2015, the European Commission adopted an ambitious package of circular economy measures, which largely refer to regulatory changes concerning waste management and product design. The package includes four legislative proposals to set new waste management goals concerning reuse, recycling, and disposal. Work on a new framework is under way to improve resource efficiency in manufacturing through an improvement of the Ecodesign Directive, which will require considering at the design stage a product’s environmental impact throughout its whole life cycle. The existing Ecodesign Directive requirements will be amended to include measures to extend a product’s life cycle, improve options to reuse components and recycled materials, and encouraging use of reused and recycled product components, a press release from the UNDP recalls.